Next wave of innovation in content aggregation? Part 2 - Truth is stranger than fiction. In my first blog post, I partially explored existing content aggregation products out there. Most of the products I'm currently using offer content in an ephemeral manner which is ranked based on instantaneous popularity for consumption. In an age in which we are bombarded with information, what happens to high quality, long living content that could facilitate learning? Our age which depreciates technical skills faster than ever, in which young workforce has to keep on learning to keep up, how should we aggregate and present content that facilitates learning to maximize continuous learning? 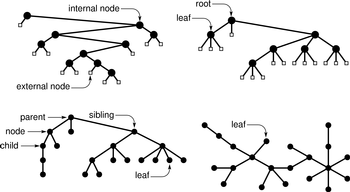 This is a git tree visualization. 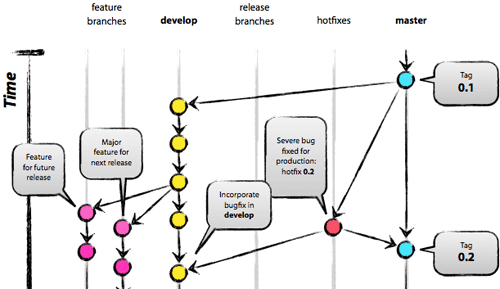 Git is a source code management system used in software projects that involves many developers working on various parts of the same project simultaneously. It allows contributors to work in a distributed, non-linear conduct. I have been using git for the last two years; I'm no git master, in fact most of the time I mess up repos by using 'git push --force', drive everyone else in the team nuts. First time I used git I felt the power of open-source software and distributed systems; horde of developers around the world, living in different time zones contributed to software projects in an elegant, coordinated manner; almost like synchronized swimming. Work as we know it is morphing into a distributed system; complex tasks are broken into smaller tasks which are distributed with the system in a self regulating, self balancing fashion, rather than the classical a top-down approach in which management is dictating tasks to certain individuals. Nowadays we see this pattern in various jobs; software is an obvious example, maker movement, liberalization of production and design with 3D printers is another example. I believe distributed systems are going to dominate our lives in the near future as the world gets flat. My question is this: How can we educate our people continuously in which work is fragmented into smaller pieces, allocation of work is getting decentralized? I believe that learning and education, just like production of goods and services will decentralize and liberalize in the near future. Change started with e-learning movement (leading startups mentioned in part 1), most of these startups built their foundation on existing institutions and their tools. These tools are supposed to be universal, but of course not. Current business model of e-learning startups will face glocalization (actually Khan Academy started localizing it's content), their products and offerings will morph with culture, or their business models will be reverse engineered and pushed back into the market. I am not sure if these startups could surmount this challenge, as their foundation is the old institutions which obviously can't cope with the market demand for learning. I believe that we must design an open, distributed structure for education. Here we have three different lineages with different complexities. First lineage is the simplest one, bearing a single parent that goes in a linear path. 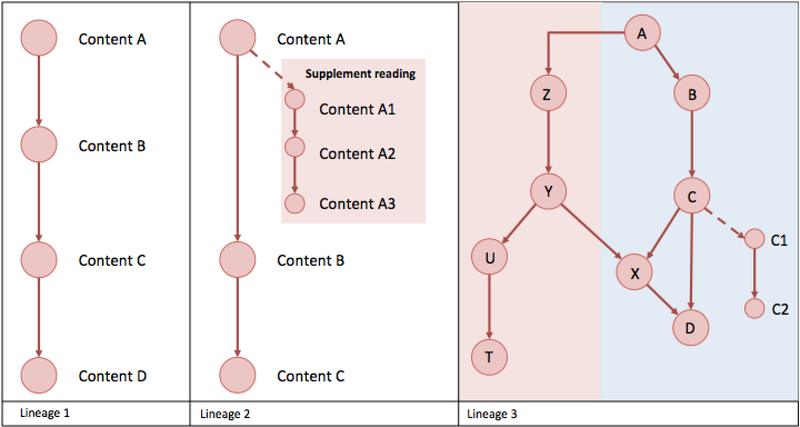 Second lineage offers a 'supplement reading' section, dotted lines indicates that these books are not prerequisite for anything, they are optional. Third lineage is a quite complex, here we start from node A, which breaks into node B and node Z - two separate subjects. These subjects later on, where content X has two prerequisites from two separate subjects (Y and C nodes). I think this model gives us a good starting point. In my next blog post I will try to deconstruct an existing curriculum reading list using this methodology, and create try to create an independent curriculum for a subject that I'm familiar with - finance. Financial advisor, entrepreneur, geek forever and proud.